Serena Williams is the favourite to cap her comeback with yet another grand slam title in front of an adoring home crowd. But a host of recent grand slam winners are primed to ensure that it will be one of the hardest US Open campaigns of her glittering career. It’s a familiar sight seeing Serena Williams on the top line of US Open futures betting (or any grand slam, for that matter), but confidence in the G.O.A.T. claiming a seventh title at Flushing Meadows is far from overwhelming. After an admirable charge at Wimbledon – where she lost in the final to Angelique Kerber – Serena has struggled for form. She won just one game in a shocking defeat to Johanna Konta at San Jose earlier this month and has only played at the Cincinnati Masters since, easily beating Daria Gavrilova before going down to Petra Kvitova in three. If she can build some momentum in the early rounds, Williams will be tough to stop – but the world No.26 is far from infallible at present. After reaching the final at the Australian Open and winning a maiden grand slam title at Roland Garros, world No.1 Halep was bounced in the third round at Wimbledon by Hsieh Su-wei. But it proved just a bump in the road for the tenacious Romanian won the Canadian Open in mid-August and reached the final of the Cincinnati Masters a week later. Halep exited the US Open in the third round last year after being drawn to play wildcard Maria Sharapova, but she was a semi-finalist in 2015 and a quarter-finalist in 2016. A massive chance this year. 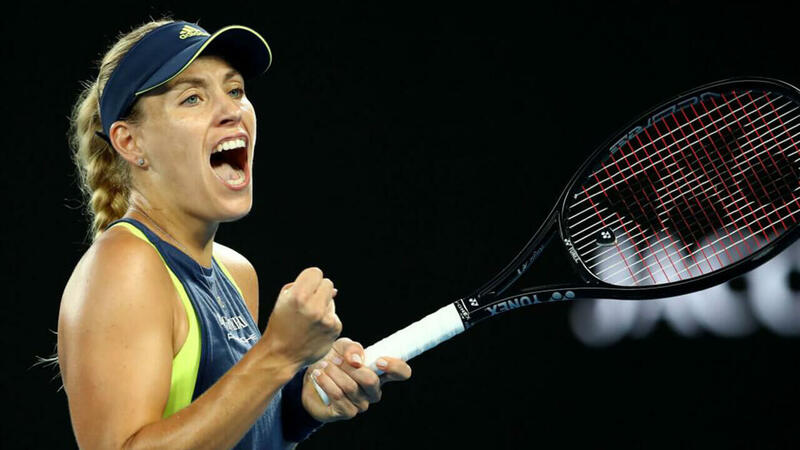 Buoyed by her triumph at Wimbledon last month, Kerber is looking to chalk up her fourth grand slam victory – and her second at the US Open, having won at Flushing Meadows in 2016. But the German veteran has had limited tennis since downing Serena Williams in the Wimbledon final. She lost to Alize Cornet in the first round of the Canadian Open before going down to Madison Keys in the second round of the Cincinnati Masters. Kerber suffered a first-round exit at the hands of Naomi Osaka in her US Open title defence last year, but after reaching the semis or better in five of her last 11 grand slam appearances she has been considered a strong contender. World No.3 Sloane Stephens arrives at her home grand slam in 2018 as the defending champion, having pulled off one of the unlikeliest triumphs of all time last year. Ranked 83rd in the world coming into the tournament, the former whiz-kid went on a stirring run all the way to the final, where she trounced compatriot Madison Keys. The watershed win proved a turning point in her career: though first-round exits at the Australian Open and Wimbledon this year were bitterly disappointing, she reached the final of the French Open, where she lost to Halep. Stephens also went down to Halep in the final of the recent Canadian Open but represents some of the best value on offer in the US Open tournament winner market. World No.5 Kivitova is working back towards the form that saw her win Wimbledon twice during the first half of the decade. A home invasion attack in late-2016 temporarily derailed her career, but she has been outstanding this year, winning the Qatar Open and Madrid Open. Kvitova’s 2018 resurgence hasn’t translated to the grand slam stage just yet, but she was a US Open quarter-finalist in 2015 and ’17, while she showed some impressive form at the Cincinnati Masters and Connecticut Open in the lead-up to this tournament. A feelgood story who will only get more confident as the fortnight wears on. Well-established now as Australia’s top women’s player, Barty is currently ranked a career-high 16th in the world – but she is still searching for a breakout run at a grand slam. The 22-year-old Queenslander has made career-best or equal-career-best runs at her past four majors, getting to the third round at the US Open last year and the same stage of this year’s Australian Open and Wimbledon, and the second round at the French Open. Barty has made a couple of solid runs in recent weeks at the Canadian Open (semi-finals) and Cincinnati Masters (Round of 16), losing to world No.1 Halep in both tournaments. Osaka has been one of the big movers on the WTA circuit over the past 12 months and could be poised to parlay that rise into a career-best grand slam run. Remarkably, she has only lost one first-round match in 10 grand slam appearances. At the 2017 US Open she stunned defending champ Kerber in the first round on her way to a third-round appearance for the second straight year. In 2018 she reached the fourth round of a major for the first time at the Australian Open, got to the third round of the French Open and Wimbledon, and clinched a maiden WTA title at the prestigious Indian Wells. Still under the Japanese banner but based in the States, the 20-year-old boasts an aggressive style capable of taking her deep into the second week at Flushing Meadows.